Refresh and rejuvenate the look of your kitchen with the sleek and shiny Russell Hobbs - Eden Kettle - Silver. Made out of stainless steel, this electric kettle is equipped with an auto cut-off boil-dry mechanism and an illuminated on and off switch. It is also cordless, meaning that you can place it wherever you want. 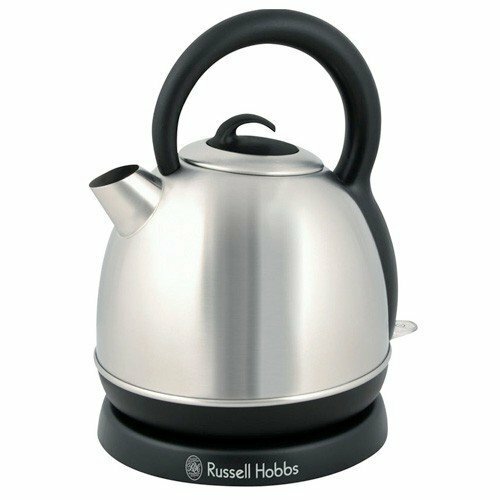 The Russell Hobbs Eden Kettle was added to the Kettles category in June 2016. The lowest price GetPrice has found for the Russell Hobbs Eden Kettle in Australia is $44.00 from Kogan.